Sandefjord Airport has close to 2 million travelers and has a healthy growth in traffic. It is the third largest airport in Norway with respect to international flights. The airport board decided in February 2017 to upgrade the airport’s landing operations to CAT II, in order to improve regularity and increase the airports attractiveness to users and partners. The airport's CAT II upgrade is part of a major project also including new runway tarmac. ICAO defines category II approach as: “A category II approach is a precision instrument approach and landing with decision height lower than 60m (200ft) but not less than 30m (100ft), and a runway visual range not less than 350m (1200ft).” In addition to equipment requirements for the landing system (ILS), there are specific requirements to visibility, control and reliability of the runway lights related to CAT II operations. 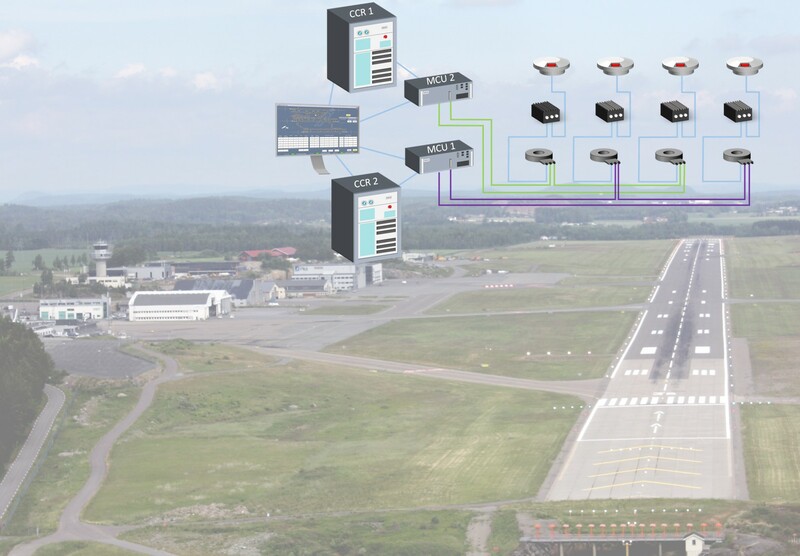 ACAMS supplied I-TWR solution with integrated Airfield Lighting Control and Monitoring System (ALCMS) to Sandefjord Airport in 2004. In 2016 a new project was initiated with Single Lamp Control for approach lights and the project scope was further expanded in 2017 to incorporate all CAT II requirements. ACAMS SLC solutions will provide individual lamp control and monitoring for more than 1100 lamps within 90 blocks which requires a substantial number of single/dual lamp control units. 28 master control units are also incorporated in the ACAMS ALCMS system delivery. The upgraded system will be designed to ensure air traffic controllers are given required warnings and status messages such as failure in two consecutive lamps, and status on percentage of lamps functioning in each block, ensuring CAT II requirements. Detailed information about location and type of fault is available to technical personnel, improving operational stability and maintenance control.